When I first came to Kenya in 1997, the preschool (behind the kids pictured above) was the only building on this plot of land in Lanet Umoja. The same building is still being used as a preschool today. 75 children ages 3 – 5 are enrolled here. Just across the road is Lanet Umoja Primary School. It was built in 1998 and started with 75 students in 1999. Enrollment has now reached 1040 students in grades 1 – 8. Bishop Edward Donovan Secondary School, built in 2010, is also across the road, home to 250 students in grades 9 – 12. The achievements at these schools have been many, from National awards for academic performance to government funding for new classrooms and lab equipment. But my focus for this blog is on the preschool. When I first visited Kenya in 1997 there was no slide on this preschool playground. In fact, there were no playground toys at all. There was a swingset, but the swings had been removed because the teachers were afraid that the children would get hurt if they used them. The children often used the chains to swing from, which to me seemed far more dangerous than sitting on a seat to swing. Children played with inner tubes or old tires during recess – rolling these with a stick and pretending that this was their vehicle. They also played running games like tag or “football” (soccer) using several plastic shopping bags tied together with string. Necessity has always been the mother of invention, no matter the age or place. Last year (2014) I noticed that the swings were up, and this past May the swings and slides were in full use during preschool. The teachers still put the swings away on weekends and during vacations, but these preschoolers now have much more access to age appropriate toys than their older siblings ever had. Developmentally appropriate practice (DAP) in rural Kenya is looked at more as using common sense than following a specific protocol. (If you research DAP Kenya online the top hit is “Drivers of Accountability Programme”). I still believe that a combination of teacher training and access to equipment accounts for this change, both of which requires funding and understanding from the government about the importance of implementing developmentally appropriate equipment and teaching techniques. The preschool building here also needs some serious attention. Preschools in Kenya are not funded by the government, so parents are expected to pay tuition, which in turn pays the teachers and occasionally allows for limited supplies for the classrooms. Unless there is outside funding preschools often lack appropriate materials and more importantly, less than adequate space for the children and teachers. Floors, windows, walls, all the things we take for granted are severely compromised here. Teachers have told me stories of children napping on the dirt floors and having to be woken up and moved because rain was coming in through the wooden slats in the wall and soaking the floor. Although we think of Kenya as a warm climate, the temperatures in May, June and July can be chilly enough to warrant warm coats and hats throughout most of the day. Children wear their coats and hats throughout the school day because the wind comes through the slats as well. Bottom line, this preschool building is in dire need of replacement. When we think about the environment where our children are being educated today, even the most run down building is 100% more appropriate for children than this preschool. Everyone’s Child is committed to improving the conditions for children in impoverished situations. The preschool children attending Lanet Umoja Preschool fit into this category, so our plan is to begin raising funds for a new preschool building in the coming year. If this catches your attention and you would like to join us in this effort to make a difference for small children in Kenya, please shoot me an email at everyoneschildren@gmail.com. I welcome your help! There is a certain sad phenomena happening with families in our country, and it has to do with more families only having one child. Another phenomena is that one parent winds up working solely to pay childcare fees. This turns into a huge sacrifice – parents sacrificing their lives with their children in order to pay someone else to raise their child. Socialization used to happen within families. Families with one child were a rarity, and one parent usually stayed home to raise the children – to teach them how to get along with one another. The learning happened within the family dynamics. Children learned social skills just by being together in a family setting, by playing, eating, talking, and even fighting together. These are the things that people have done for centuries in order to learn what is acceptable in society. Children who grow up in single child households lack the experience of trying out these different social behaviors, so they are compelled to seek these interactions with their peers in school or afterschool settings. Are we trying to create a society where only certain “acceptable” behaviors are allowed? I am reminded of an experience I had when I was conducting my doctoral research in Kenya. I had the opportunity to interview 35 people during the two months I was there, and at the end of each interview I would always ask if the interviewee had any questions for me. I was interviewing a teacher who also happened to be a parent of four children. She asked me, “Why don’t Americans like children?” I was stunned by her question and immediately replied, “But we do! We love our children!”. She responded very matter-of-factually, “Then why do you only have one or two? 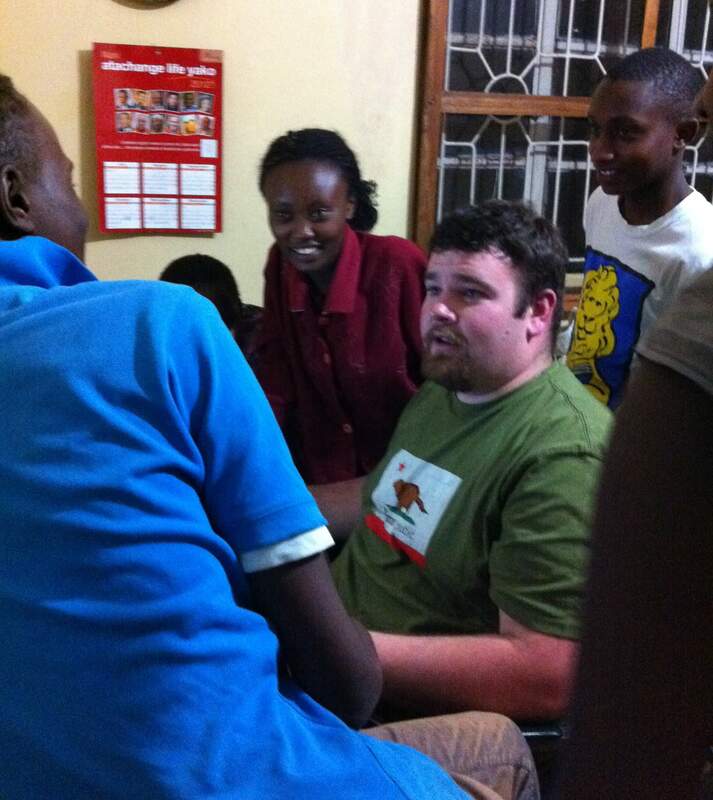 Here in Kenya,” she continued, “our children are our wealth.” I didn’t know what to say. As the parent of one child I was guilty of the very thing she was speaking of. She had spoken a truth, and yet I knew that the reason most of my peers in America were planning small families was mainly because of the expense involved with caring for a large family. I mumbled something about it being expensive and people wanted to be able to do the best they could for their families, but the conviction was heartfelt. In Kenya, their wealth is in their children, which is the future of their nation. They also do the best they can for their children, and while it may not measure up to our standard of success, there is more joy and abandonment in the hearts and lives of these children than I now see in the young faces that are so often glued to iPods and iPads and Netbooks around our country. America needs a wake up call when it comes to what we deem to be truly important, truly valuable. I pray that our children can and will be seen as our wealth in days to come. Instead of sacrificing for our children by never seeing them, I pray that we can sacrifice the need for material wealth in order to have the richness gained from spending time with our children. Why should I care? Why should I give? There are so many reasons to care about what is going on in the world today. Caring is a key to living in a civilized society – it’s the part of us that makes us human. Our society is becoming increasingly self-centered and narcissistic, owing in large part to the ability for all of us to record and share every aspect of our daily lives with the rest of the world, hoping that someone out there will care enough to notice us. The result of this self-absorption is an endless hole of self-dissatisfaction. I see that the only way out of this void is to give. There is a certain freedom that comes from giving, from caring enough to see beyond our own needs to recognize the needs of another. Current data shows us that nearly half of the children in the world live in poverty, 22,000 children die daily due to lack of basic needs, and at least 15 million children are orphaned due to HIV/AIDS. I find these numbers too overwhelming to even think about, so I tuck them away in my head and go about the day, ensuring that my family is clothed and fed and educated. I am thankful, so thankful to live in a country that is free and full of opportunity, yet I still struggle with the question of how I am able to meet my needs and those of my family, when almost half the world lives on less than $2.50 a day. Everyone’s Child was formed to address this very idea, that we are all responsible for the children in our world who could do with, as they say in Kenya, a “leg up” just to enjoy something as necessary as a daily meal or as basic as an education. I encourage everyone who feels this inconsistency, this imbalance in life, to do whatever it is within their power to give to someone who needs a leg up, whether it’s a financial donation, a note of gratitude or support, or the gift of your time. You’ll never regret dropping that stone into the pond and watching how far the ripples go. Here begins the use of this blog. Finally. I’m always thinking about what I should write. Today I am determined to get something down on this page. As the director of Everyone’s Child, I am often faced with making decisions about who we should support and how best to help those who lack the basic necessities in life: food, water, shelter, family, education. My motto has become “There is no end to the need.” There is great hardship in Kenya, particularly among the children. But this is true everywhere we turn. When I pick up the paper or listen to the news, I am reminded of the pain and distress that so many face, and to be honest, I find it more than overwhelming at times. I struggle not to become indignant over the imbalance of poverty and wealth and wonder if we as members of the human race are doing enough to relieve the suffering of humanity. Today I read a passage from Madeleine L’Engle’s The Irrational Season that helped me comprehend this overpowering feeling of helplessness I have whenever I consider the needs in our world. “We may be a global village, but instant communication often isolates us from each other rather than uniting us. When I am bombarded on the evening news with earthquake, flood, fire, it’s too much for me. There is a mechanism, a safety valve, which cuts off our response to overexposure. But when a high school student comes to me and cries because the two- and three-year-olds on her block are becoming addicted to hard drugs, when the gentle man who cleans the building in which the Cathedral library is located talks to me about his family in Guatemala, rejoicing because they are alive although their house has been destroyed by earthquake…then in this particularity my heart burns within me, and I am more able to learn what it is that I can and ought to do, even if this seems, and is, inadequate. But neither was Jesus adequate to the situation. He did not feed all the poor, only a few. He did not treat all the lepers, or give sight to all the blind, or drive out all the unclean spirits. Satan wanted him to do all this, but he didn’t. So now I can go forward in this day with renewed hope that whatever I do to relive the suffering of a handful of schoolchildren in Kenya will and does amount to something. And not just me – I’m grateful for all those who have come alongside this vision to feed, educate and care for the orphans we serve in Kenya. It’s the proverbial stone in the pond effect that is being enacted here. One stone, many ripples. Sr. Shamima Thiongo, Sr. Bernadette Mastroni, Fr. Thomas Mugi & Fr. Paul Stewart. Thank you! Everyone’s Child has a brand new website! We’re finally there! I’ve been on an adventure I never wanted to embark on – the changeover of what I thought was a pretty good website to something that I am now able to work with. Now I am very happy to announce that EC is online and in business once again with an outstanding site – all thanks to Peter Dinardi and his expertise in creating an innovative web design that isn’t too difficult for me to navigate behind hte scenes. If you want to see more of his work, check out his website at http://vermontdesignandmarketing.com/. And now it’s time for me to get to work blogging and posting. Stay tuned for more excitement! In his bestselling book, “Life in a Jar: The Irena Sendler Project”, Jack Mayer inspires people of all ages to understand that one person can make a difference in history, and that every small act of goodness repairs the world. Mayer’s book corresponds directly with the work of Everyone’s Child, a humanitarian non-profit organization based in the Mad River Valley dedicated to improving the lives of children in Kenya, particularly those whose lives are surrounded by invisible walls of poverty, poor health and lack of education. Mayer will be connecting this wonderful story of the heroic woman who rescued 2,500 children from the Warsaw ghetto in the 1940’s with the importance of rescuing children in need today. Proceeds from the evening will go to Everyone’s Child to help fund the completion of two classrooms at the Lord Ranjuera Primary School in Kampi Ya Moto, Kenya. To see the full information for this event please click here. Our goal now is to continue fundraising efforts to complete two classrooms at the Lord Ranjuera Primary School in Kampi Ya Moto, Kenya – the extremely dry area where EC helped to install a rain harvesting system last year. These two classrooms require walls, floors, windows, doors and desks. In order to make this dream a reality for these students we need to raise an additional $8,000.00. Any contributions toward this effort will be gratefully accepted! Click here to make a secure online donation. This past November and December we had a significant response to our annual appeal, raising over $15,000.00 in two months! Our heartfelt thanks to everyone who contributed so generously. Your donations help us to start the new year off on strong footing, positively impacting the orphan feeding program that feeds over 200 Kenyan children in five different locations per day, and allowing 15 orphaned boys and girls to attend our secondary school this year. 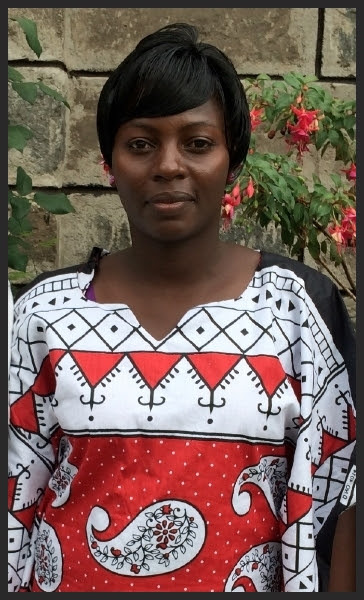 Susan Enoch, a recipient of EC’s scholarship program, has been hired as our first Kenyan employee! As our Program Coordinator, Susan is responsible for meeting with teachers and students involved in the Orphan Feeding Program, purchasing and supplying the food for that program, maintaining records and finding new sources of funding in Kenya. She is also EC’s representative on the new Health Center Board for the building of a clinic in Lanet Umoja. It’s an exciting position for her and an exciting time for us as we continue moving forward in Kenya! Everyone’s Child continues to support orphaned children who want to attend secondary school. Currently there are 15 orphaned students attending Bishop Edward Donovan Secondary School who need financial assistance. Would you consider sponsoring a student for just $35 a month? Click here if your answer is yes!